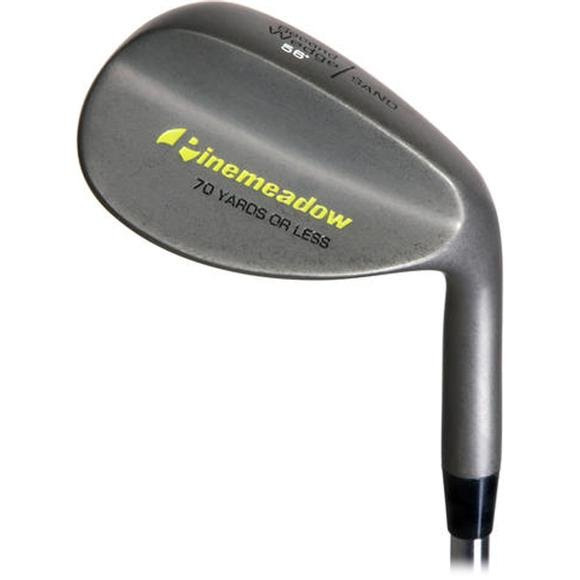 Check out Pinemeadow Golf's most popular wedge! A dark tumble finish paired with a big sweet spot are the qualities that have made this wedge so successful. The expanded face area makes this wedge the easiest to play out of the most difficult lies allowing the golfer to get under the ball but still have enough club to generate control and ball flight. Check out Pinemeadow Golf &apos;s most popular wedge! A dark tumble finish paired with a big sweet spot are the qualities that have made this wedge so successful. The expanded face area makes this wedge the easiest to play out of the most difficult lies allowing the golfer to get under the ball but still have enough club to generate control and ball flight. 125 gram shaft with a low to mid kick point, perfect for the beginning to average golfer. Largest face area of any wedge available making the toughest of lies seem like perfect lies.